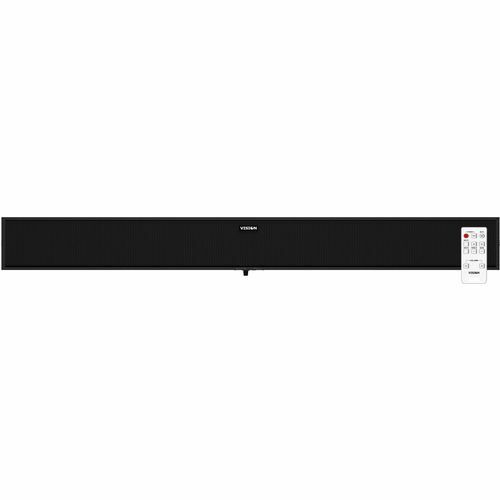 With a powerful 30 watt amplifier built in, the SB-800P powered soundbar loudspeakers are designed to enhance an interactive flat-panel display. 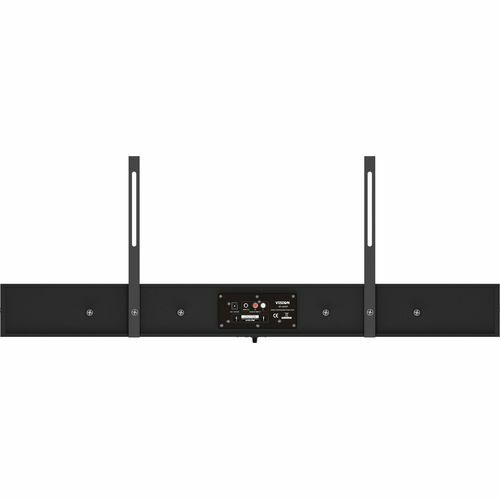 They are simple to install and sound great Includes lifetime warranty return to base. Four powerful 2.5 broad-band drivers provide the bass and mid-range. The proximity of the drivers provides a coupling effect to extend bass lower than it would normally go with physically small drivers. The woofers are complimented by two 1 tweeters. Remote Control A full range of options are presented on the IR remote control, including bass and treble adjustment. The same remote control comes with Visions SB-800P loudspeakers, and replacement remote controls are available. Volume Control SB-800P rear A dial on the underside of the loudspeaker allows easy access to volume adjustment. A short push on the volume dial changes input, and a long push turns the power on and off. Installation Brackets Brackets are included which allow the SB-800P to share the flat-panels VESA mount. The brackets are 450mm long and can be fitted 200, 400, and 600mm apart. Connectivity Two audio inputs are available on the rear panel, plus input 2 is duplicated on the underside for fast adhoc connection of portable sources such as phone and tablets. SB-800P input panelAn external switch-mode power supply is provided with figure-8 (C7) power cables. The SB-800P uses a quality Yamaha class-D digital amplifier chip. The amplifier circuit is contructed using surface-mount-technology techniques to ensure a long reliable life.